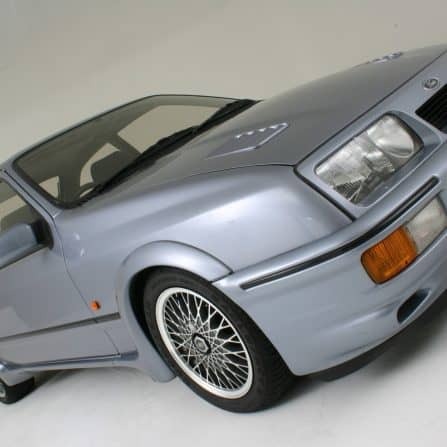 In a front-engined, rear wheel drive application the crown wheel and pinion transfers engine torque from the propshaft to the car’s differential (LSD) and then onto the road wheels via the halfshafts. 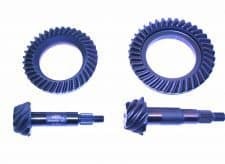 As a function of this process the crown wheel and pinion (CWP) ratio is the principal variable controlling the vehicle’s overall gearing, which means that changing the CWP has a significant effect on outright performance. 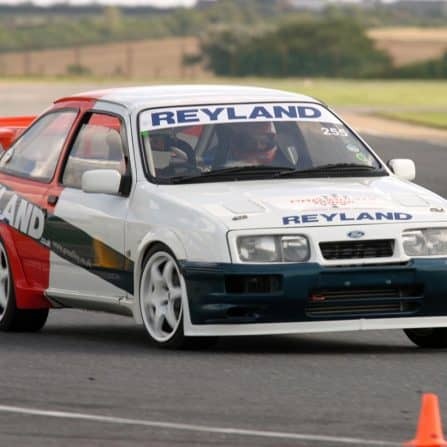 It is vitally important to select the correct crown wheel and pinion ratio to suit the engine’s characteristics and the desired vehicle speed, whether for a trackday car or an outright competition machine, requiring a different set up from circuit to circuit. 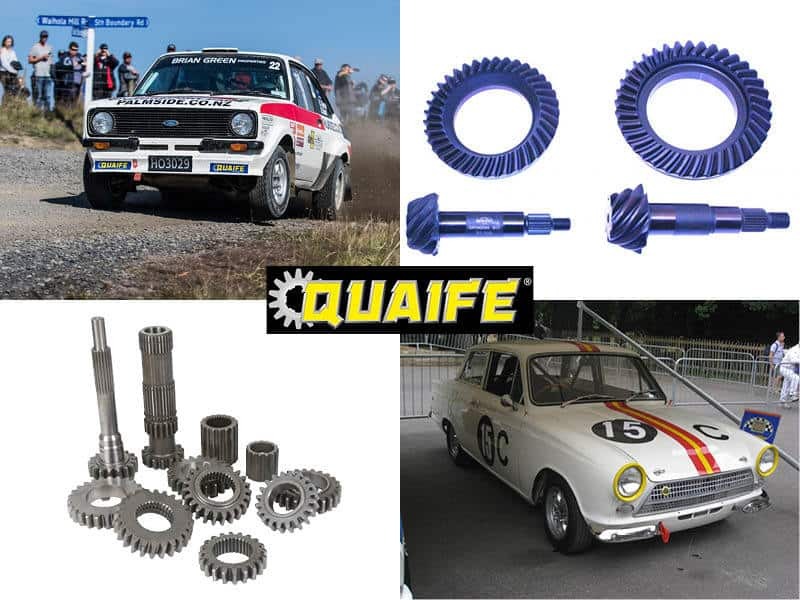 Quaife Engineering can supply a wide range of Tran-X crown wheel and pinion ratio sets for Ford ‘English’, ‘Atlas’ and Sierra 7” and 7.5” axles in ratios from 3.14:1 to 5.86:1 to suit a variety of motorsport and fast road requirements. The Quaife / Tran-X crown wheel and pinions are precision engineered and far superior compared to the original specification. Manufactured from high tensile steel billets, then Manganese Phosphate coated for increased wear resistance, they are also quality inspected to ISO9001-2008 standards. 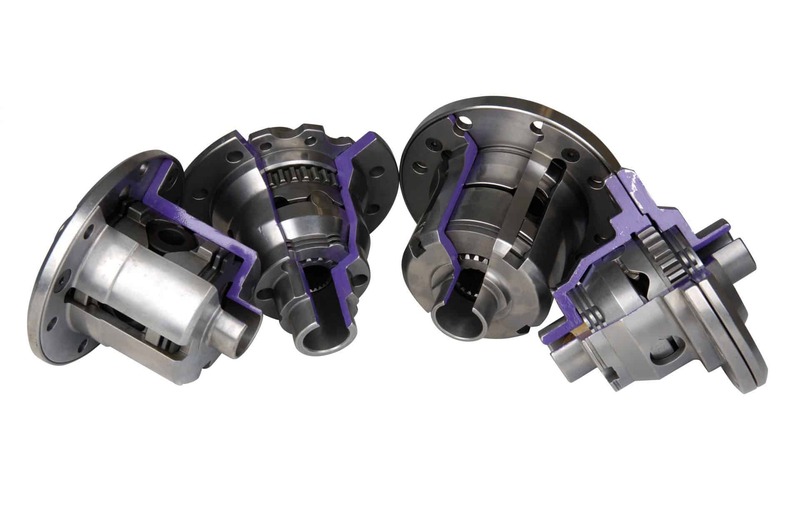 In addition to the Crown wheel and pinions range, Quaife can also provide lightweight aluminium alloy differential casings to complete the installation. 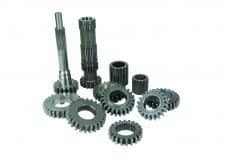 These offer the twin advantages of making future crown wheel and pinion ratio changes considerably easier as well as substantially reducing overall weight compared to the standard units. Tran-X components can be supplied separately or Quaife can build complete differential assemblies incorporating the Quaife / Tran-X crown wheel and pinion set, new bearings, oil seals and gaskets. These complete units can be built with either a Quaife ATB or a Tran-X LSD differential. 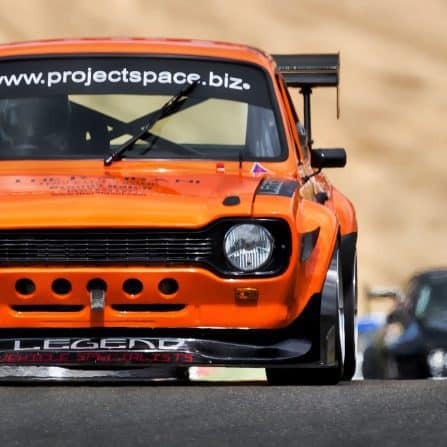 While Quaife / Tran-X crown wheel and pinion ratios are available to suit a wide variety of performance requirements, Quaife is keen to expand the range to suit new requirements. 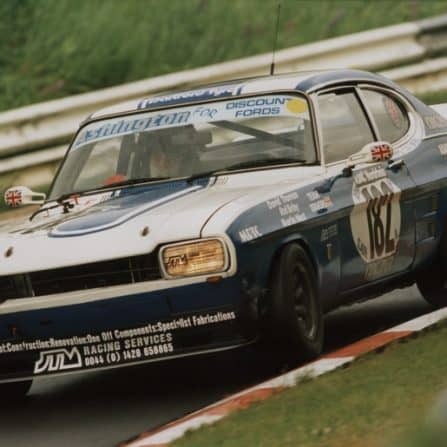 Please contact Quaife’s Technical Sales Team for further enquiries.